Feb - 06 | Posted by: KHL Staff | no comments. Robert DeNiro stars in Oscar nominated film Silver Linings Playbook and instead of an autograph Robert gave his hand and footprint recently. 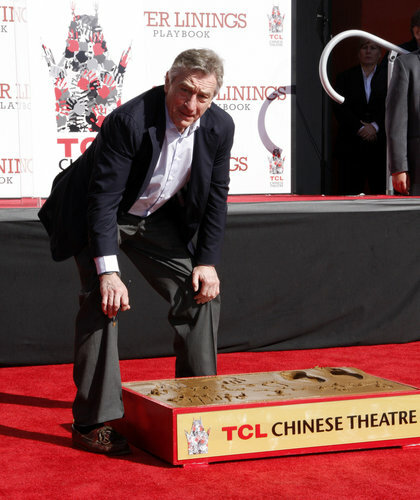 Robert gave his hand and footprint Monday where he was honored at the TLC formerly known as the Grauman’s Chinese Theatre in Hollywood. Attending the ceremony were Robert’s girlfriend, longtime friend Billy Crystal and Silver Linings Playbook director David O. Russell.